Clear local DNS Cache (Windows 2000/XP/2003) - TACKtech Corp. 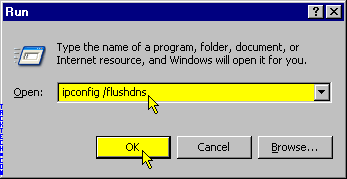 Enter ipconfig /flushdns in the Open: textbox. Note: This does not modify your host file entries. If you run ipconfig /displaydns entries in the host file will still be listed.